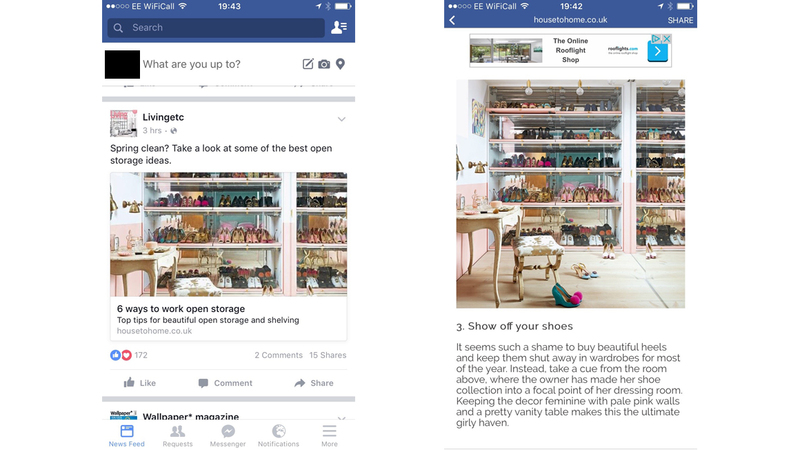 That time you’re scrolling down your personal FB page to see your work used as the feature image to a Living Etc article about ‘beautiful open storage and shelving’. Living Etc featured Cleo B’s place in their February ’16 issue over 4 double spreads, exposing AO’s handy work in this warehouse conversion that’s more “gold than grit”. 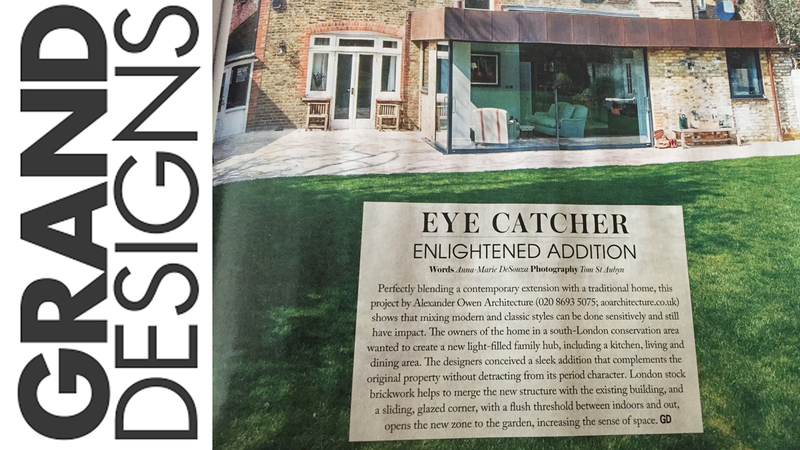 Grand Designs magazine got in touch with us to showcase Ollie and Annie’s place in their March ‘Eye Catcher’ feature. 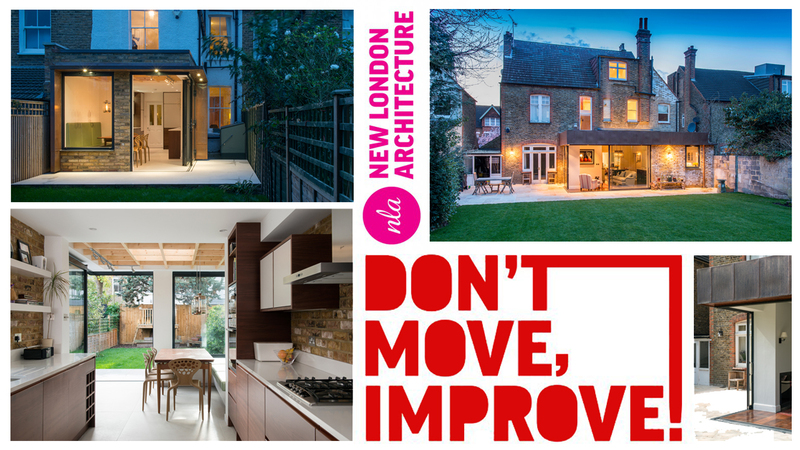 Craig and Siobhan’s Place and Ollie and Annie’s Place were selected as part of the NLA Don’t Move, Improve Awards 2016 and were included in 3 month exhibition at the Building Centre in central London. 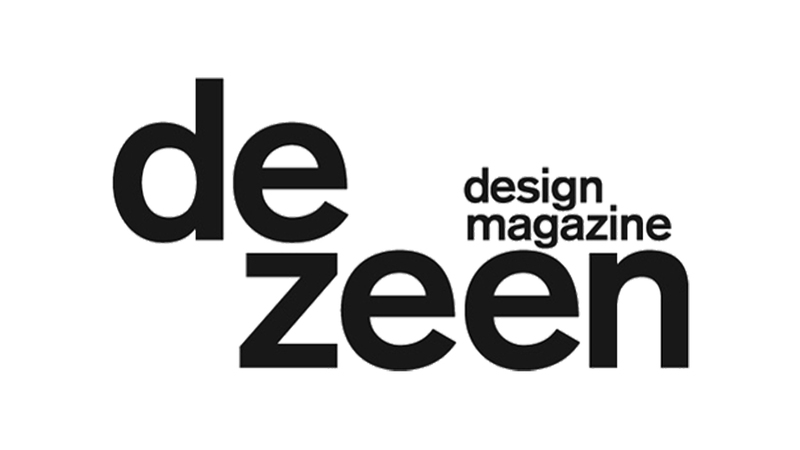 We were named in the Don’t Move Improve Awards shortlist 2016 in Dezeen’s article on the award. 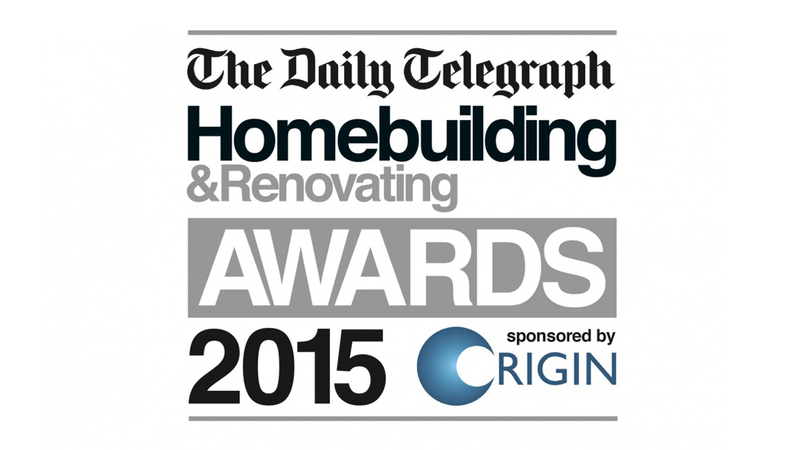 Ollie and Annie’s Place was shortlisted for The Daily Telegraph Homebuilding and Renovating Award 2015. It was 1 of 19 projects shortlisted from across the country. 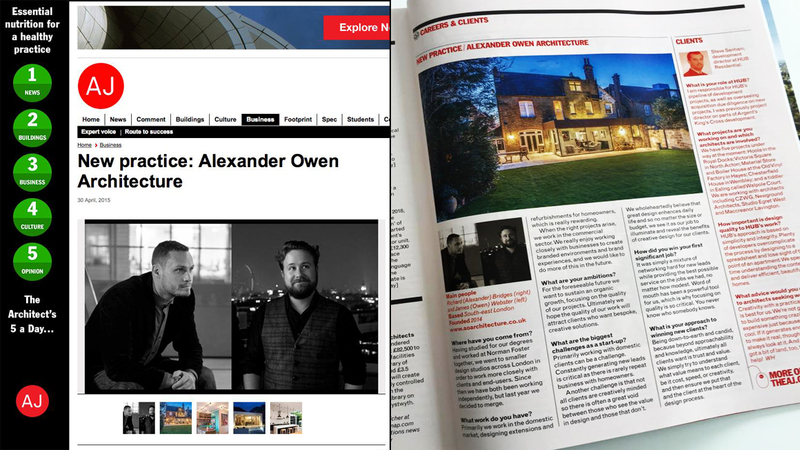 AO get interviewed for a full page feature in The Architects Journal. “What is your approach to winning new clients? 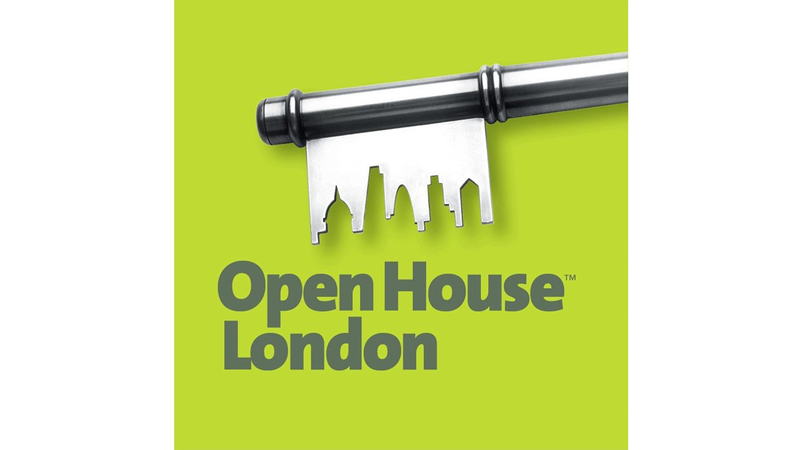 Chris and Nette’s place could be found on the Open House London Tour in 2014. 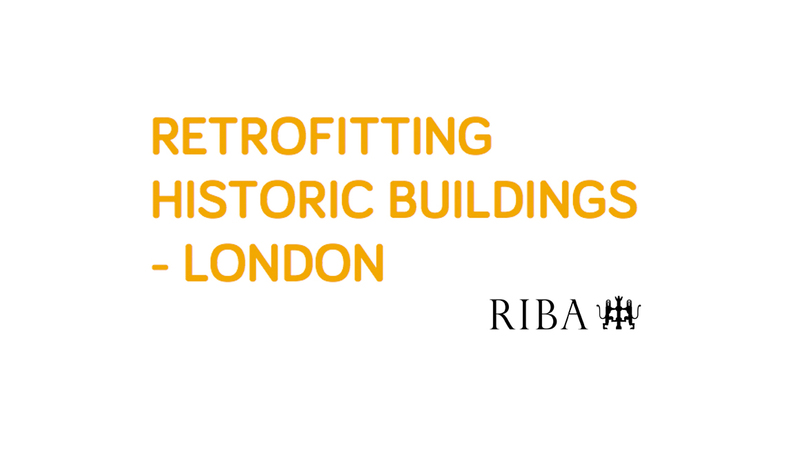 Alexander Owen were proudly asked to speak at RIBA’s HQ on Portland Place to present 3 case studies as part of a seminar on retrofitting historic buildings to a room of RIBA’s member architects. 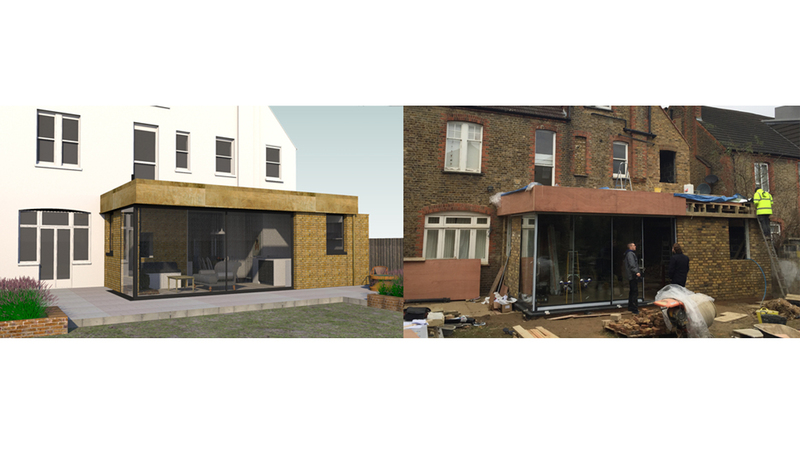 Our award winning retrofit in Peckham was been featured on the BBC series ‘Britain’s Empty Homes’. 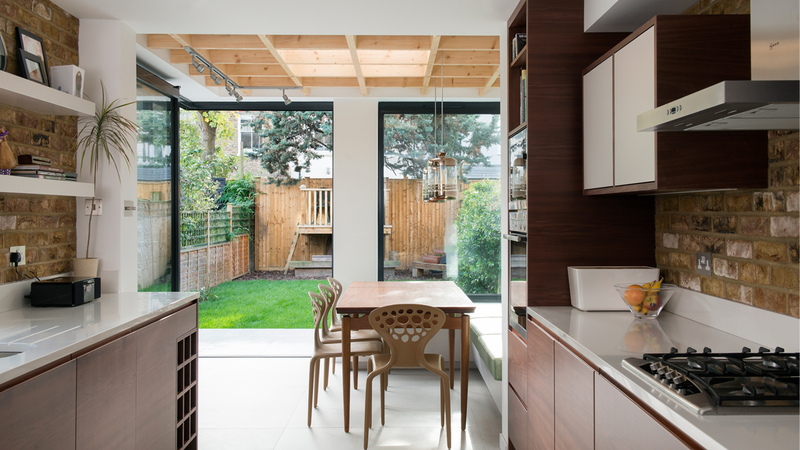 The show reveals the great potential that vacant properties can offer in terms of budget and lifestyle, and our project was used as a show case for environmental retrofit developments. 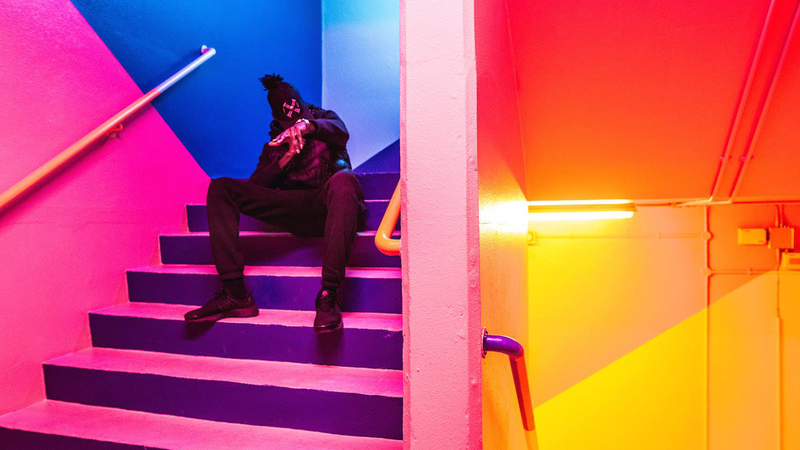 Our award winning retrofit in Peckham has been featured on the London Live series ‘Place Invaders’ hosted by DJ Charlie Sloth. 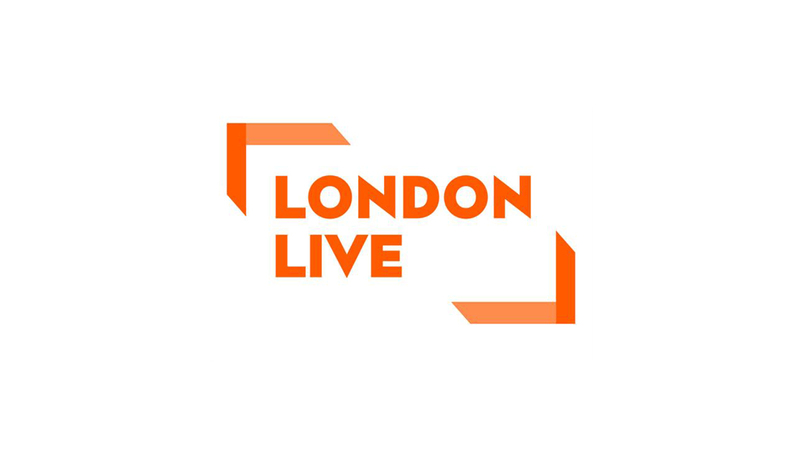 The show offered expert advice on getting on the property ladder, an exclusive look into the capital’s smartest pads, and an insider’s guide to London’s property scene. 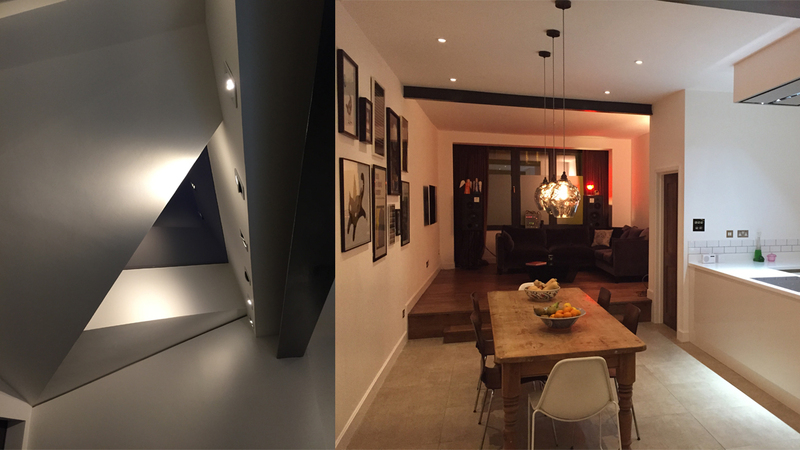 Having had one project long-listed and one project shortlisted for the NLA Don’t Move Improve Awards 2016, AO were invited to provide consultations with people looking to develop their homes. Both projects also featured in a 3 month exhibition at The Building Centre on Store Street. 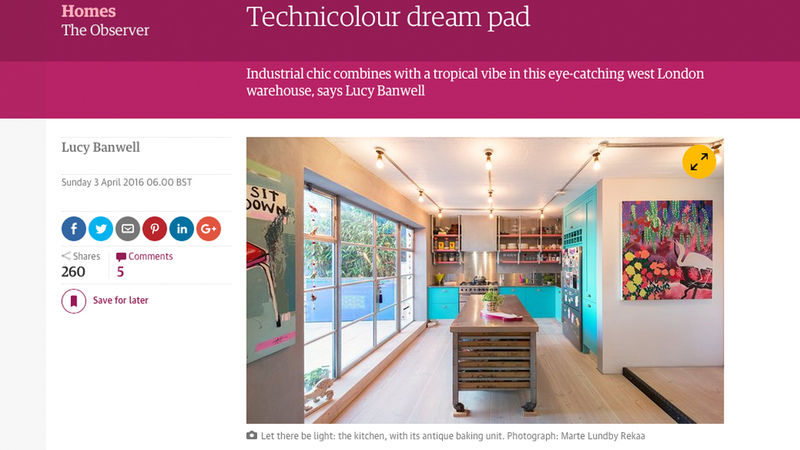 Living Etc featured Cleo B’s place in their February issue over 4 double spreads, exposing AO’s handy work in this warehouse conversion that’s more “gold than grit”. 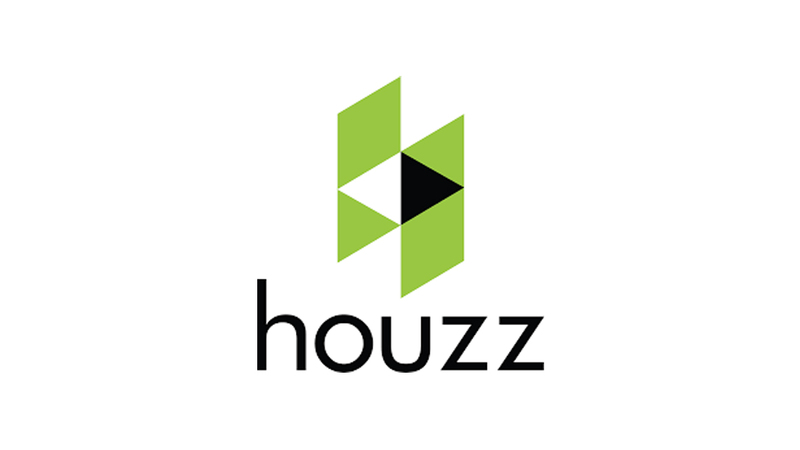 Our work has been featured in numerous articles on the global home decor social network Houzz. 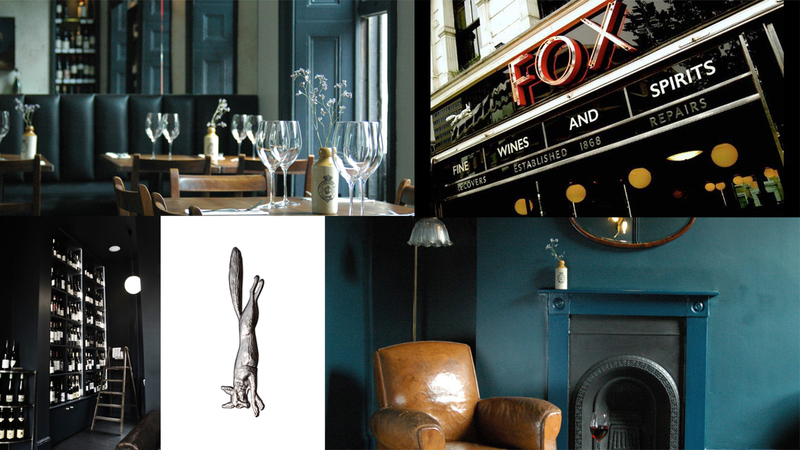 Find our profile at http://www.houzz.co.uk/pro/alexanderowen. 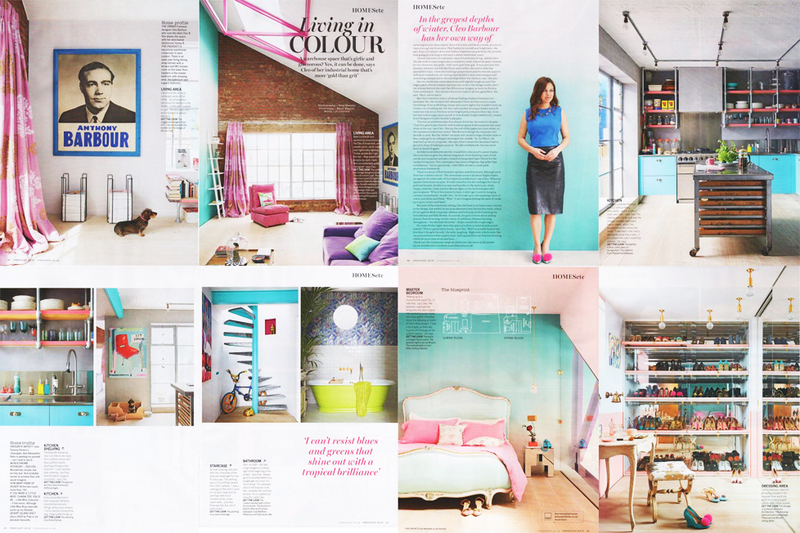 A great start to 2016 with a fantastic 9-page spread in February’s Living Etc Magazine out January 1st. 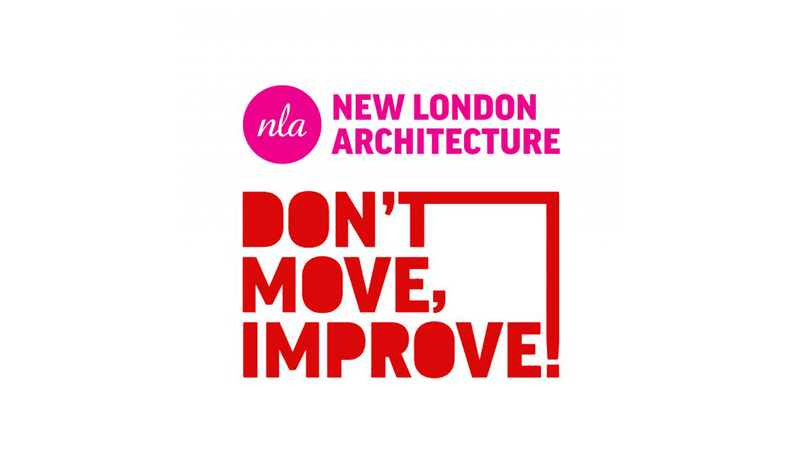 We are delighted to announce that Craig and Siobhan’s Place and Ollie and Annie’s Place have been selected as part of the NLA Don’t Move, Improve Awards 2016 longlist and will be included in the 2016 Exhibition in January! Check out our 3 page feature from Page 20. 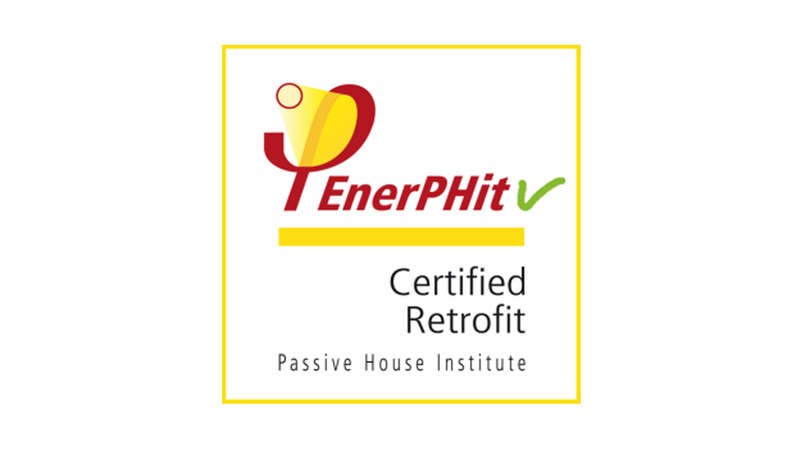 Our project at Barmouth Road, Wandsworth for the Caccavale’s was officially accredited with achieving the EnerPHit standard of energy efficiency and the first of its type in London. 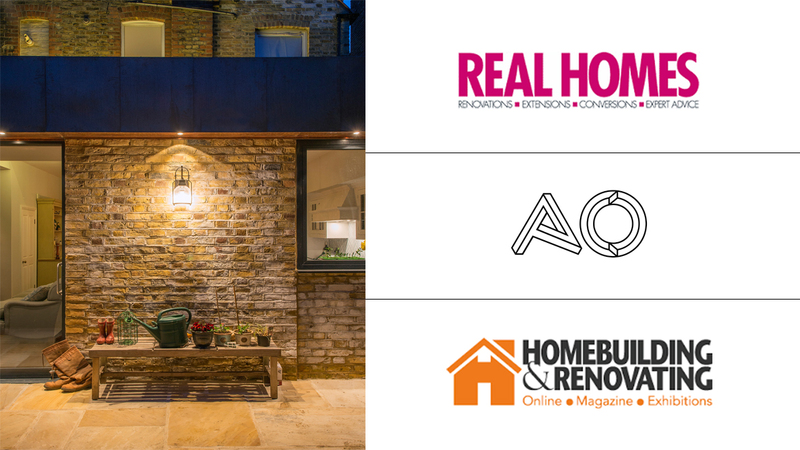 We are proud to announce Ollie and Annie’s Place has been shortlisted for The Daily Telegraph Homebuilding and Renovating Award 2015. It’s 1 of 19 projects shortlisted from across the country. 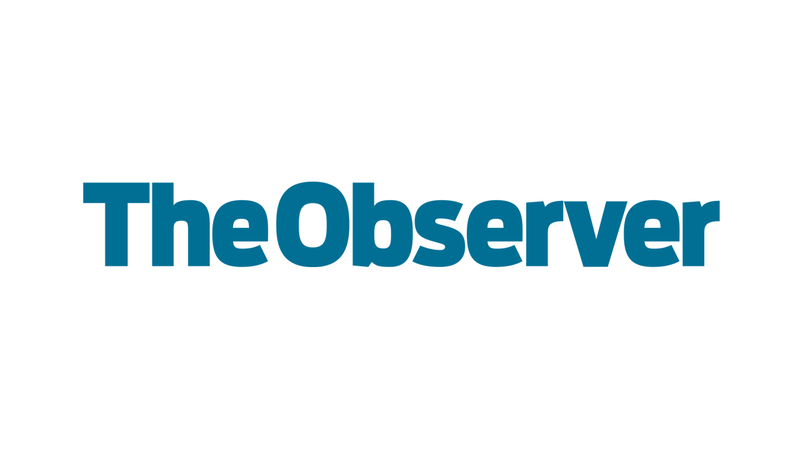 BUT, there’s a public vote which we means we need as much support as possible, so please follow the link below, click the circle next to the project name “A Period Home in a Conservation Area with a Copper-Clad Extension”, and press the ‘Vote’ button at the bottom. 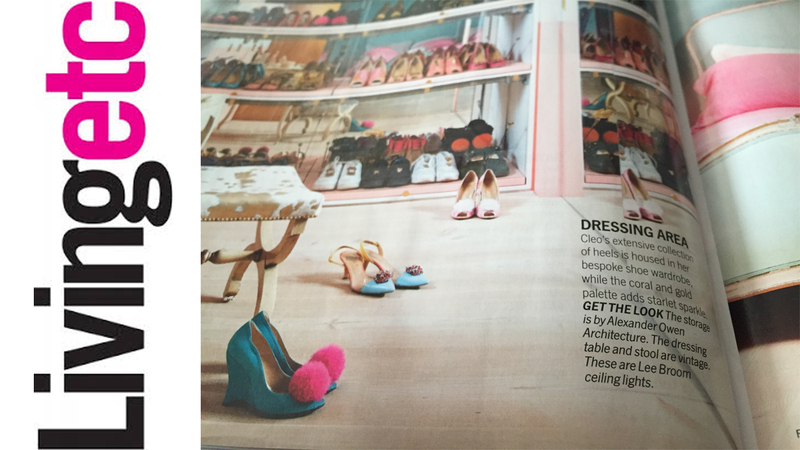 Check out our 3 page feature in this months magazine from Page 20! 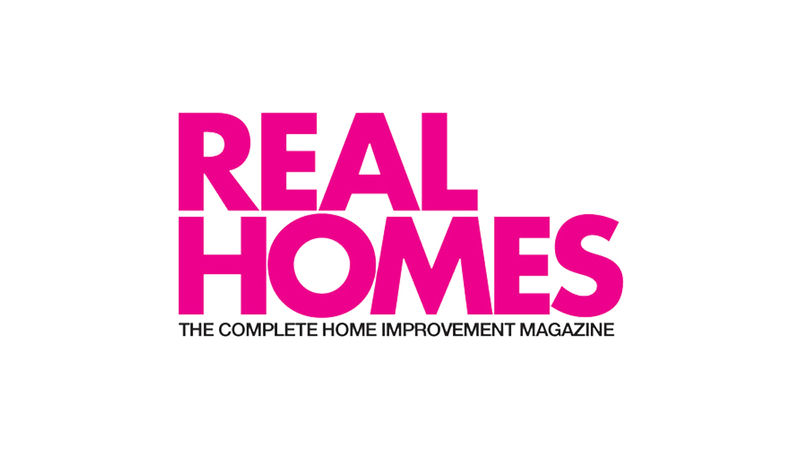 Real Homes Magazine and Home Building & Renovating Magazine are both to feature Ollie and Annie’s place in two articles to be published this year and next respectively. Ollie and Annie were interviewed last week and had their portraits taken with the kids and are now all very excited and proud of the prospect at their beautiful home in not one, but two national magazines. 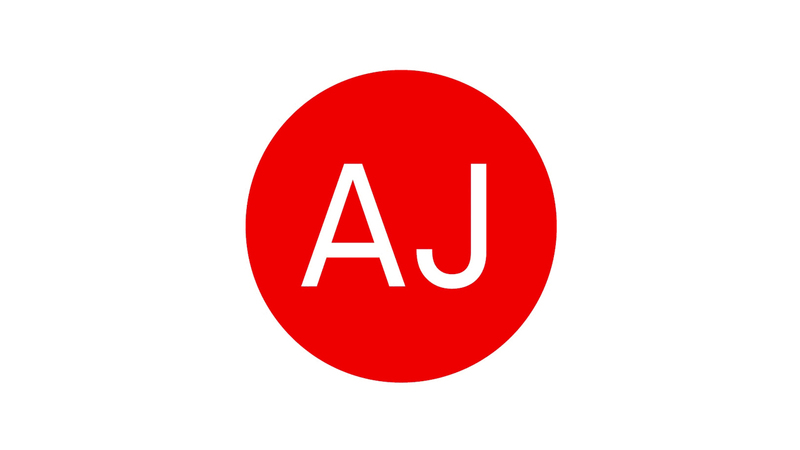 We couldn’t be more pleased…there’s no better way to end a project than happy clients and featured articles to boot! 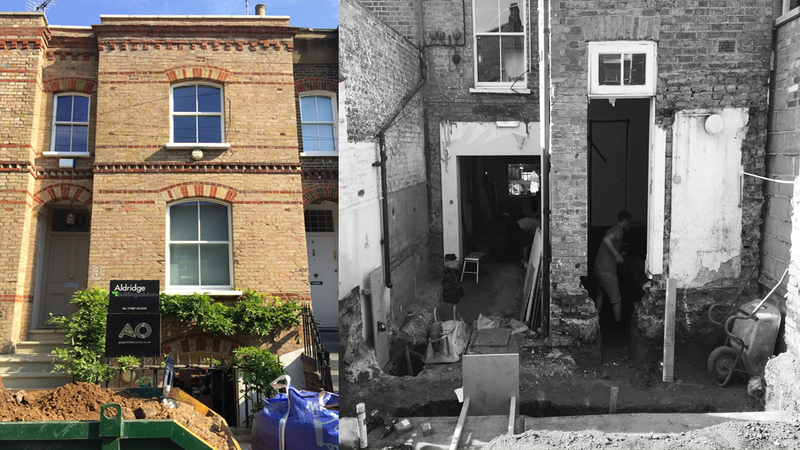 Ground is officially broken (along with some walls and floors) on our project for Dave and Renato in a Kennington Conservation Area. 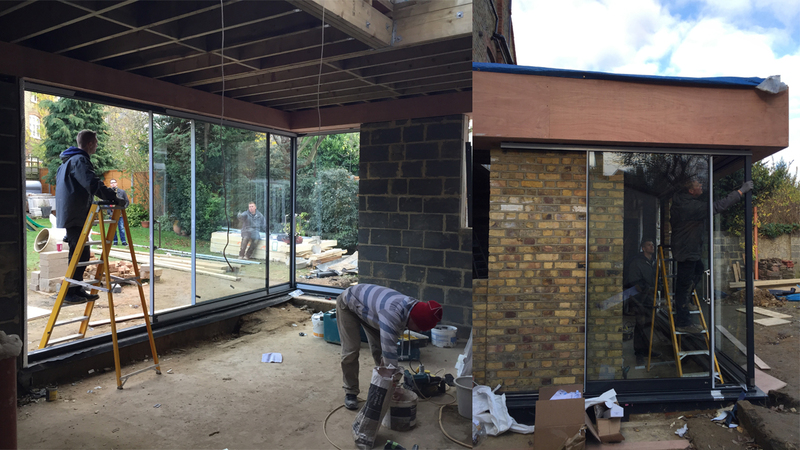 Featuring Pigmento-Zinc, contemporary red-brick detailing, and exquisite minimally-framed aluminium doors, this project should make for a very sophisticated addition to a very beautiful street. Cleo B and her brand new apartment will be winging their way into Living Etc, Britains best-selling modern homes magazine! Look out for her featured interview in the Christmas edition out in November! Fitzwilliam Road in Clapham Old Town is a beautiful part of London, and sits within Clapham Conservation Area which is noted for the many historic buildings dating from the 18th-19th Centuries. Having met at another of our clients housewarming parties post-build, we are now helping these 2 local bar owners to extend and refurbish their beautiful property and make it their perfect family home. What better way to win a new client, than at a housewarming party for a home that you’ve designed?! 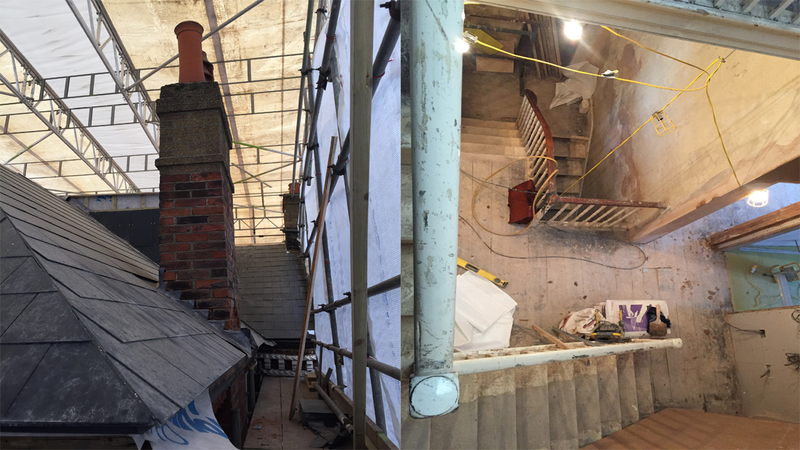 The scheme is to feature traditional as well as contemporary detailing, and is due on site Autumn this year. 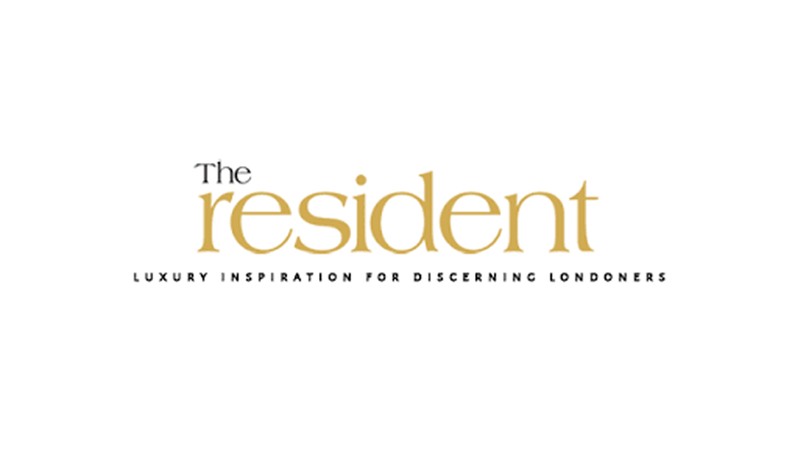 Victoria Purcell, Editor at The Resident Magazine interviewed us recently for a small piece on designing homes. Due to be published in the Autumn! Craig and Siobhan’s place in Balham is in full flow. A grid of exposed timber rafters, internal brickwork, and external copper detailing is making for an interesting mix of materials. 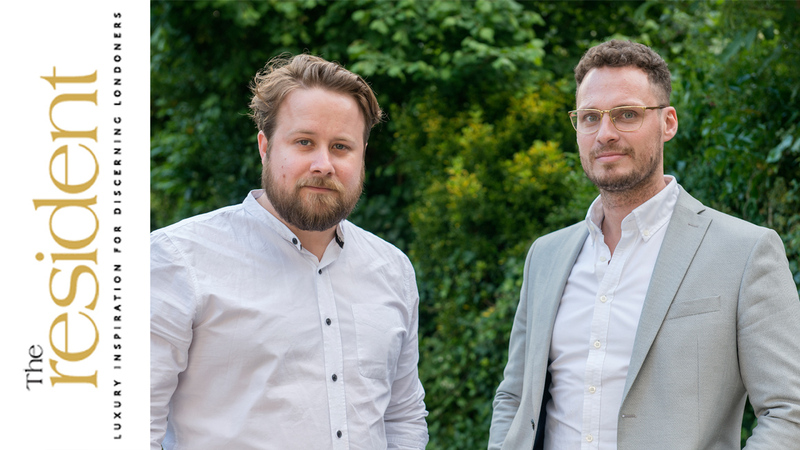 Having studied for our degrees and worked at Norman Foster together, we went to smaller design studios across London in order to work more closely with clients and end-users. Since then we have both been working independently, but last year we decided to merge. What work do you have? 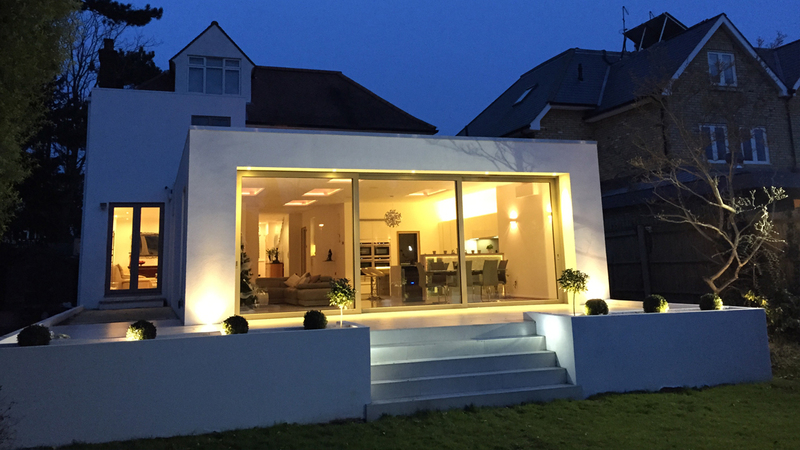 Primarily we work in the domestic market, designing extensions and refurbishments for homeowners, which is really rewarding. When the right projects arise, we work in the commercial sector. We really enjoy working closely with businesses to create branded environments and brand experiences, and we would like to do more of this in the future. For the foreseeable future we want to sustain an organic growth, focusing on the quality of our projects. 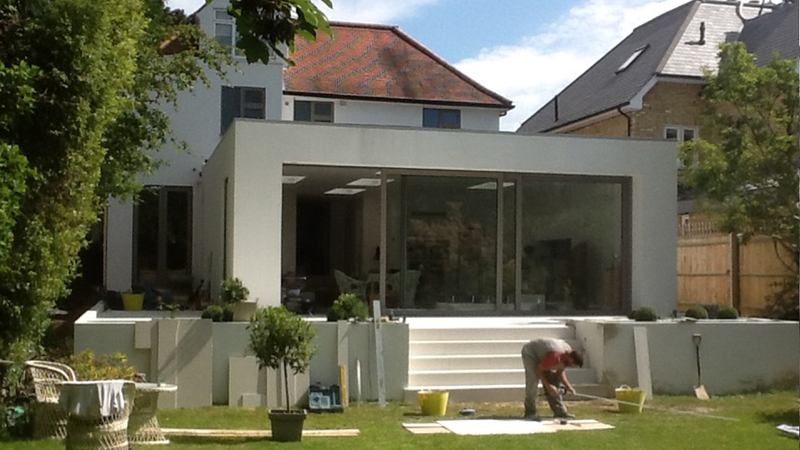 Ultimately we hope the quality of our work will attract clients who want bespoke, creative solutions. 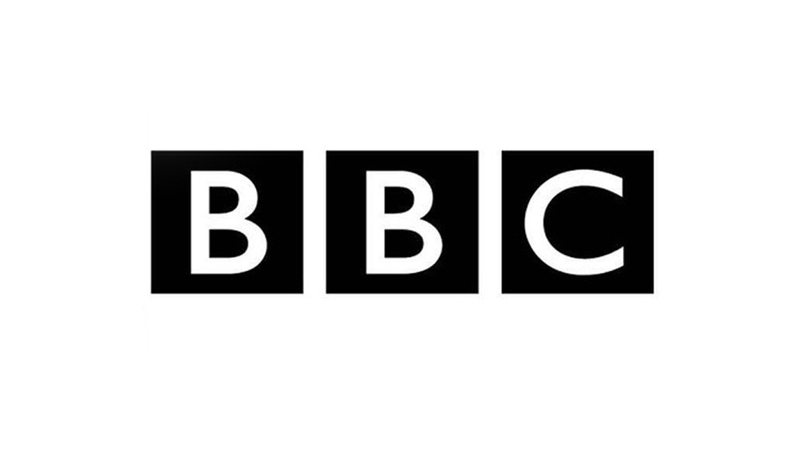 What are the biggest challenges as a start-up? Primarily working with domestic clients can be a challenge. Constantly generating new leads is critical as there is rarely repeat business with homeowners. Another challenge is that not all clients are creatively minded so there is often a great void between those who see the value in design and those that don’t. 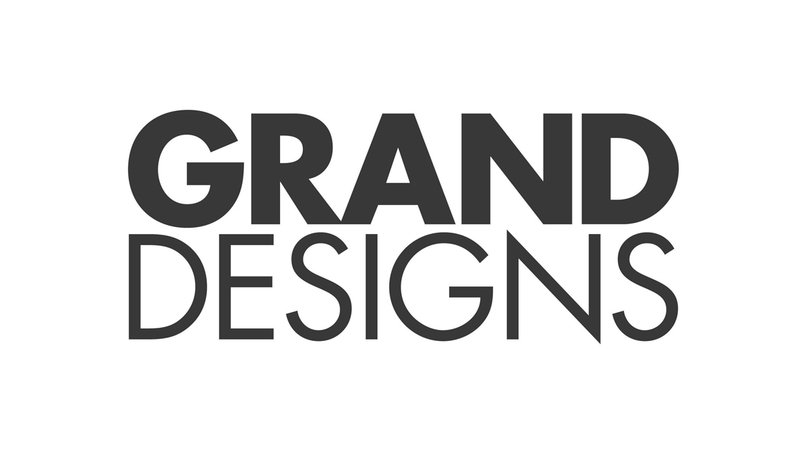 We wholeheartedly believe that great design enhances daily life and so no matter the size or budget, we see it as our job to illuminate and reveal the benefits of creative design for our clients. How did you win your first significant job? It was simply a mixture of networking hard for new leads while providing the best possible service on the jobs we had, no matter how modest. Word of mouth has been a powerful tool for us, which is why focusing on quality is so critical. You never know who somebody knows. What is your approach to winning new clients? 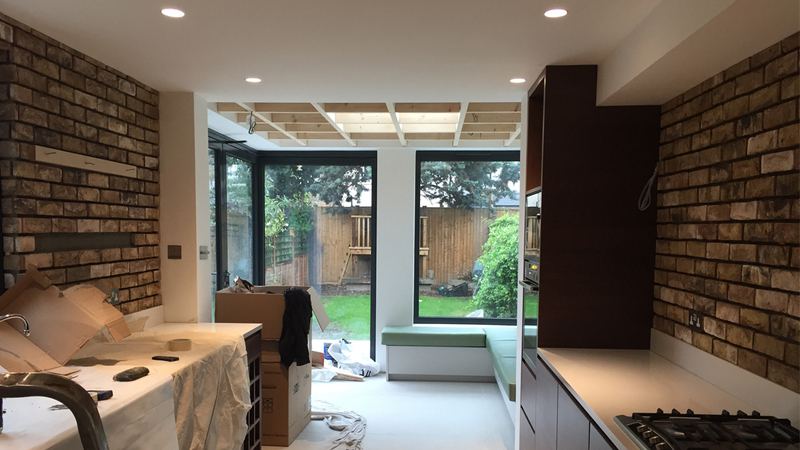 Our project in an East Dulwich Conservation Area gets shot. 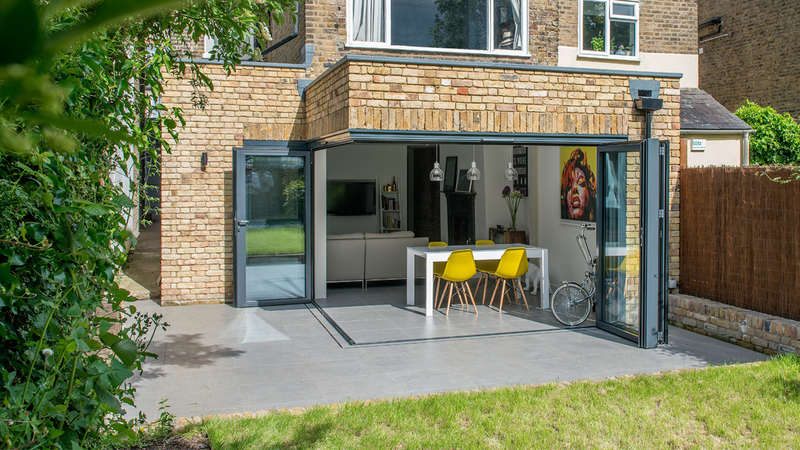 Featuring a 3m cantilever and 2 lengths of folding doors, this project is all about bringing the outside in….perfect for summer BBQ’s! 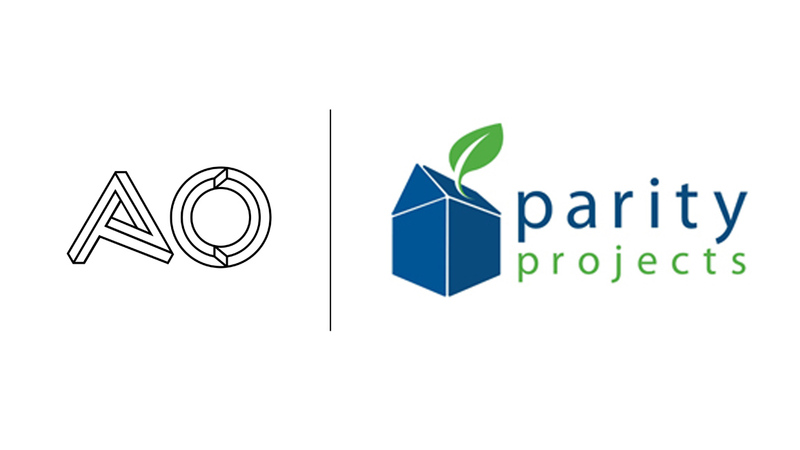 AO and Parity Projects have teamed up once again to extend and retrofit a house in Wimbledon for Ruth. 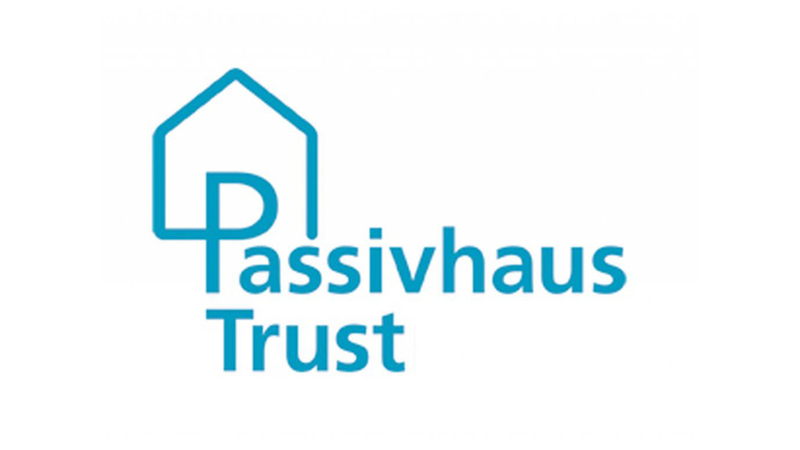 The project will feature internal and external wall insulation, solar thermal and PV arrays, upgraded windows and doors, and rainwater harvesting. Ollie and Annie with their 2 boys and a third baby on the way needed more space space for the kids to run around and a much bigger garden. When they saw this place they instantly fell in love. 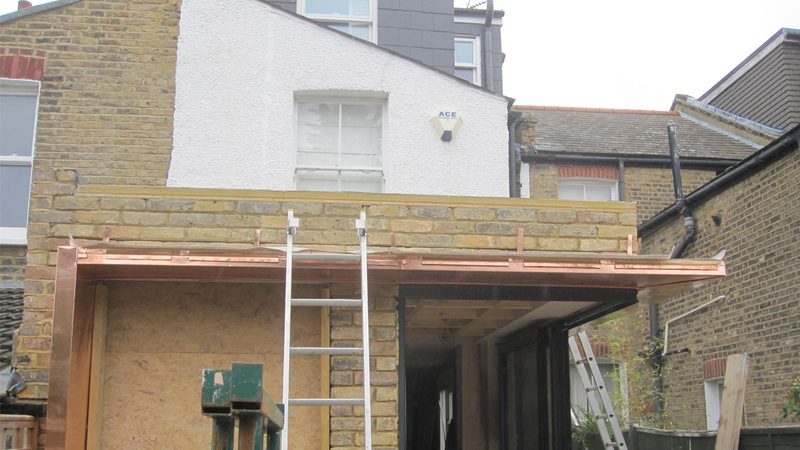 A new ground floor rear extension was to accommodate a new kitchen, dining and seating area, whilst a side extension would provide secondary access as well as a utility room. At first floor an extension would accommodate a new walk in wardrobe with ensuite facilities accessed via a hidden door from the master bedroom. 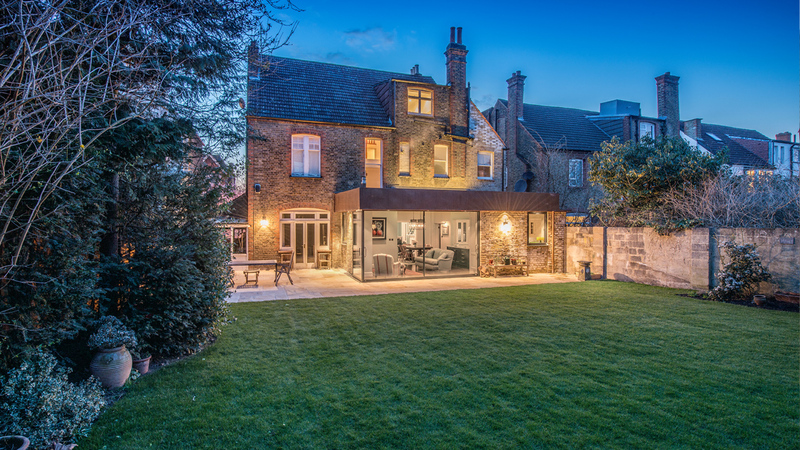 The property is located in a Conservation Area and Archeological Priority area, so the design needed to be sensitive to the period of the dwelling, whilst delivering on the brief for ‘a modern family home’. The result we hope is a contemporary classic. 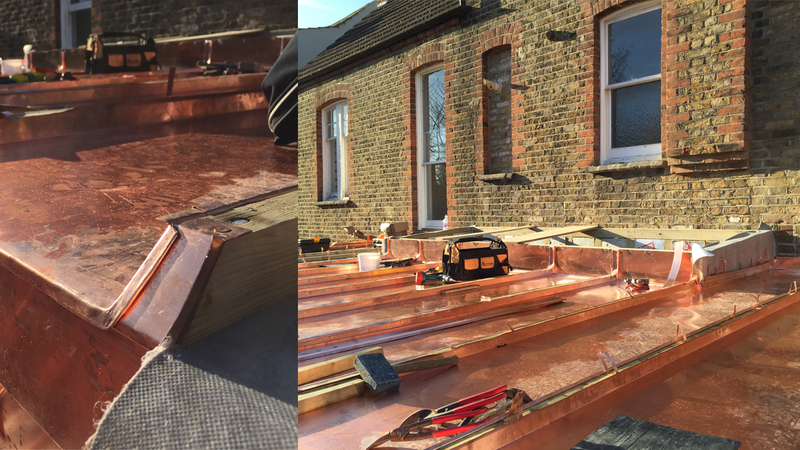 The copper roof at Ollie and Annie’s place is well under way. Such an amazing colour now, and it will oxidise into an equally beautiful pale green over the next 25-30 years. 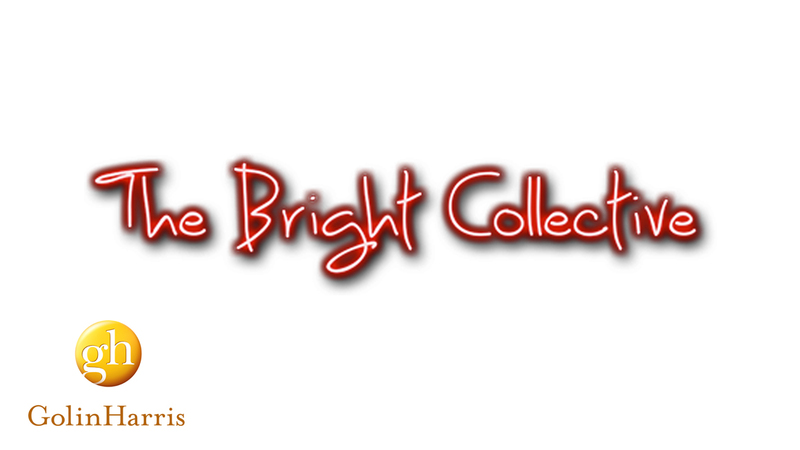 Alexander Owen were proudly selected to become members of Golin Harris’ co-creation portal The Bright Collective. 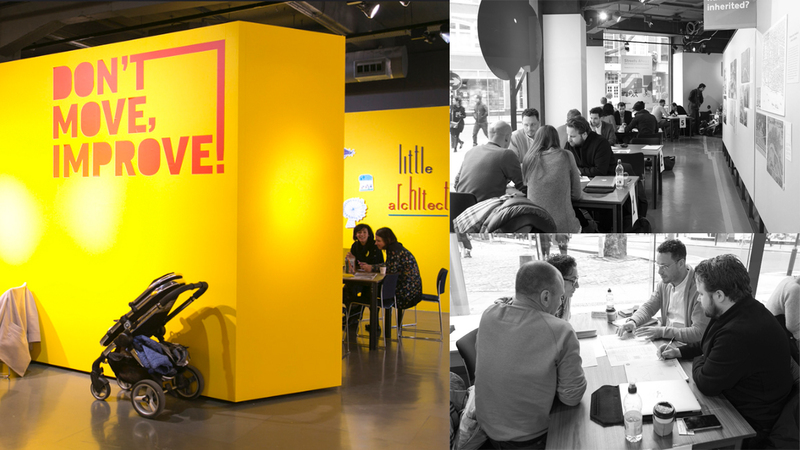 The collective is a carefully selected panel of creative minds, drawn from a range of industries to think up big ideas for big projects. Rudy and Mary’s amazing detached house in Teddington finally gets shot. Final images of the new 8m extension will arrive in the New Year, but their beautiful new home is certainly ready for festivities! 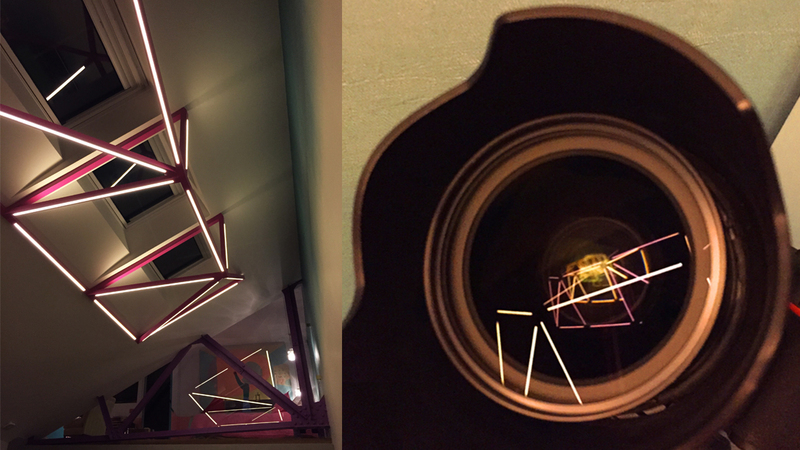 This bright pink bespoke lighting structure was designed by Alexander Owen to hang beneath 3 existing roof windows in a warehouse apartment. The light is dimmable so it provides both ‘task’ and ‘mood’ lighting, and is quite the statement piece!